Please read below or watch some of the videos inserted on what leading thinkers and popular artists say about this method. 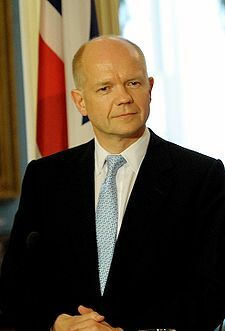 The British Foreign Secretary, William Hague, has become the second leading British politician to speak about the benefits of Transcendental Meditation for life in the fast lane. In an interview with The Times (17/4/2010), which revealed him as a highly effective, energetic and disciplined individual, Hague, 47, spoke about how he has meditated daily for 30 years using Transcendental Meditation, which he learnt in Sheffield as a teenager. His admission echoed that of LibDem leader Nick Clegg in another recent Times article. Hague told journalist Ann Treneman – who attributed his highly organised mind to meditation – that he found time in his 6am to 9pm working day to practise Transcendental Meditation because it makes him calmer, have fewer headaches and sleep better. The former Tory leader, best-selling author and self-made millionaire dismissed that there is anything mystical about it, emphasising that he did it for purely practical reasons. Nick Clegg told The Times (17/10/2010) that he had practised TM regularly for five years in his 20s as it was a practical tool which was “extremely useful for dealing with the ordinary stresses of life”. 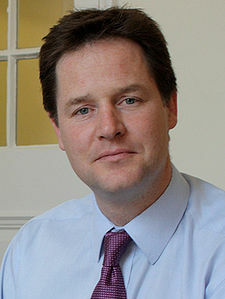 In a subsequent Telegraph interview, asked whether Clegg still meditates to cope with the pressures of running for Prime Minister, his spokeswoman said that his family commitments – he has three sons – did not allow him the time now. British chess champion Jonathan Rowson has followed Nick Clegg [England's Deputy Prime-Minister] and William Hague [England's Foreign Secretary] in speaking about how Transcendental Meditation had equipped him for life at the top of his profession. The three times UK chess champion told Indian newspaper The Deccan Herald during a visit to Delhi that he maintains a strong interest in Transcendental Meditation as well as yoga and Indian spirituality. Aberdeen-born Rowson, 33, learned Transcendental Meditation in 1998 while a student at Oxford University and says he owes his first-class degree to it. Rowson, who also has a degree from Harvard and is also a widely read author and columnist, added that he would never dream of playing a serious game without meditating beforehand. Read more from The Herald, 23 April 2007: Meditation: for old hippies or a better way of life? In an interview with Mick Brown, the Liberal Democrat leader spoke about his formative years and opened up about how Transcendental Meditation helped him during his years at Cambridge University and when he was starting out with his career. He learnt Transcendental Meditation during his gap year after leaving Westminster School in London, as at the time he’d been ‘tearing his hair out at home’, trying to write a novel. He went on to practise Transcendental Meditation for the next five years, during which time he studied for a degree in anthropology at Robinson College, Cambridge and began his first political job in Brussels. In an interview on ITV on 21 March, Clegg spoke about how, while travelling with brothers Marcel and Louis - the TV presenter – Theroux in the USA, he would always halt the car for 20 minutes twice a day to practise Transcendental Meditation. Conservative MP, Tim Yeo, is another politician who has spoken about how Transcendental Meditation has helped him. At 79, Clint Eastwood is an inspiration for the baby-boomer generation. Not only has kept his youthful strength, energy and good-looks, he has also continued to be incredibly prolific in his work, making sixteen movies in the last 18 years, one of which, Unforgiven, won him his first Oscar in 1993. How does he do it? In a recent interview with GQ magazine, he let on to one of his secrets: Transcendental Meditation. He revealed that far from being a passing fad of his youth, he’d been practising it twice a day for almost 40 years. Eastwood went public about his Transcendental Meditation routine when he famously appeared on an American TV chat show with the founder of Transcendental Meditation, Maharishi Mahesh Yogi, in the early 70s. He delighted the audience by giving a flower to Maharishi.